I’ve been in bed all day and all I’ve eaten is a pack of ramen. I’ve had a lot of time to veg out, watch movies, Skype my family, edit videos, and write. It’s kind of crazy how much I’ve been updating this blog, but it really has become my happy online space where I can share however much I want. That being said…. one thing I love to share with people is food. 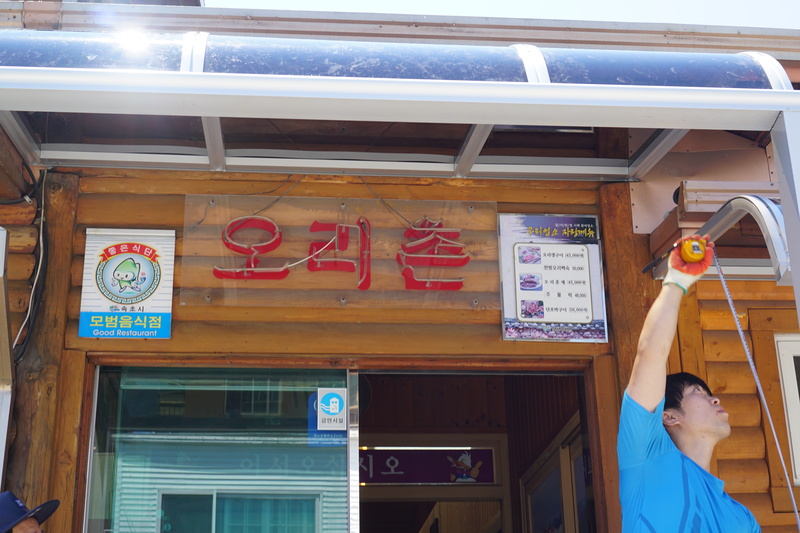 I’ve wanted to start a series of videos and posts where I take you with me and show you what I’ve been eating here in Korea. 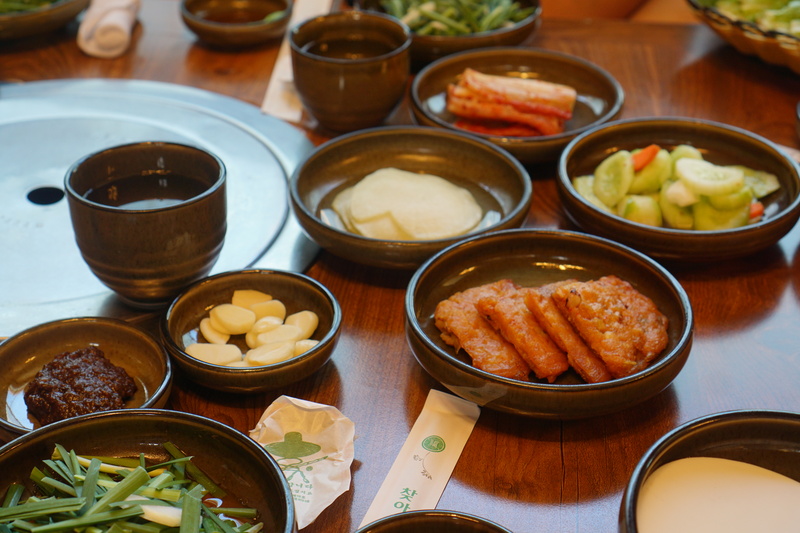 I started hash tagging #KimmyeatsKorea for any Korean meals that have blown my mind away. 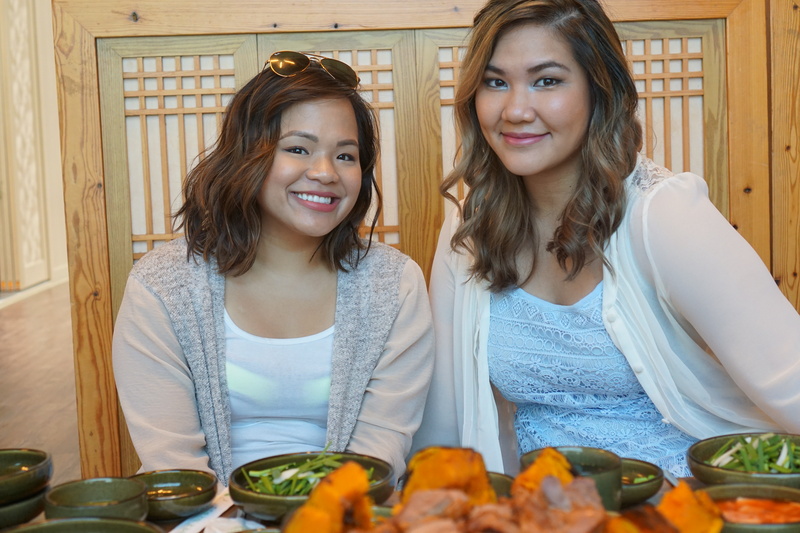 By now, you can imagine that I have had more meals than I can count but there’s been some unforgettable dining experiences that have stuck with me and those are the ones I want to share. 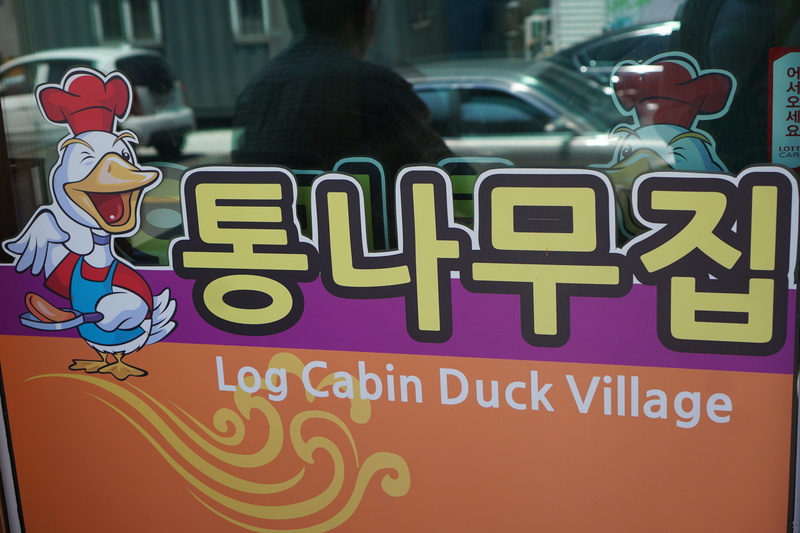 Last weekend while I was in Sokcho, Dianna made reservations for her Sunday Birthday lunch at Log Cabin Duck Village. She told me that she had to pre-order the duck because it needed to be slow roasted for 7 hours so the restaurant would have it ready for us the day we came. I had heard nothing about this pumpkin duck dish prior to her mentioning it. It sounded interesting and my taste buds were jumping in excitement at the thought of it. I skipped breakfast that morning and we rolled up to the restaurant around 1:00pm with her friend Jackson. 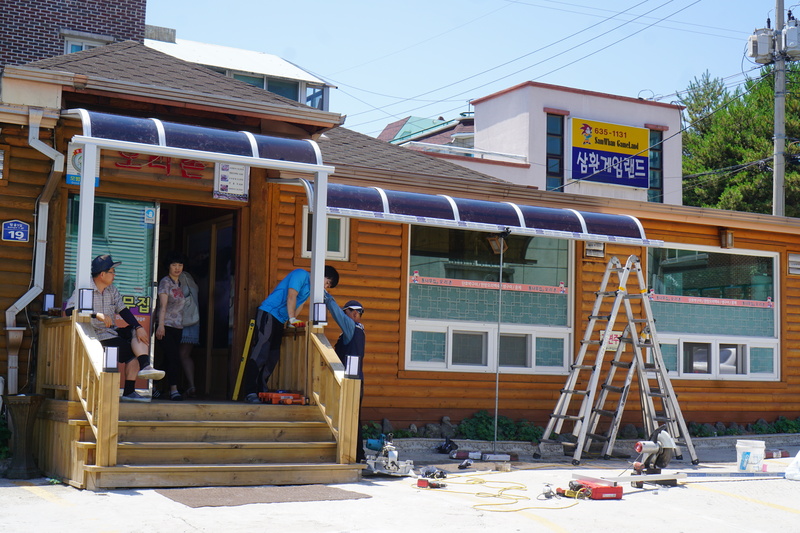 They were fixing up the outside of the entrance when we came and the place was empty. Empty tables are never a good sign, but I remained hopeful. Some of her other friends ended up being no-shows, but that just left more food for us! 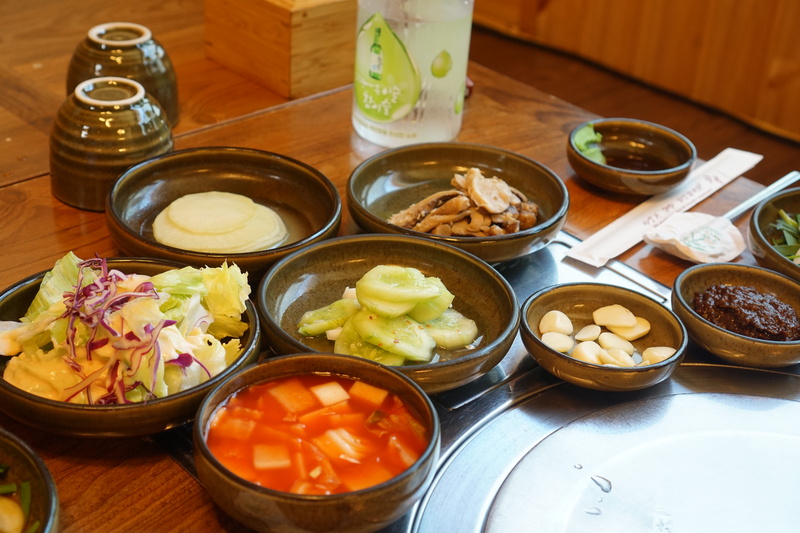 Since the restaurant was expecting us, they had already spread out the banchan (side dishes) of : lettuce, sesame leaves, jalapenos, cucumbers, daikon radish, garlic, mushrooms, bean paste, and of course kimchi. The waitress brought out a bowl of pumpkin soup for each of us and I dug right in. The soup was warm, sweet, and the perfect consistency. Minutes later she brought out the main course and I was in complete awe. I had never seen anything quite like it. 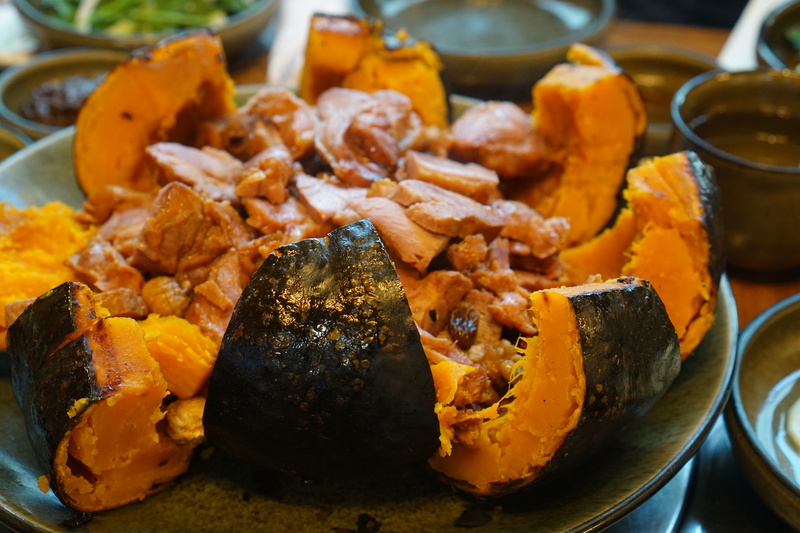 A mound of glazed duck meat sitting cozy in a slow roasted pumpkin. It was a piece of art! I kept questioning whether or not this pumpkin was the same type as Halloween pumpkins back home but I’m almost certain it isn’t. The texture of the “pumpkin” is more like a cross between butternut squash and yams. 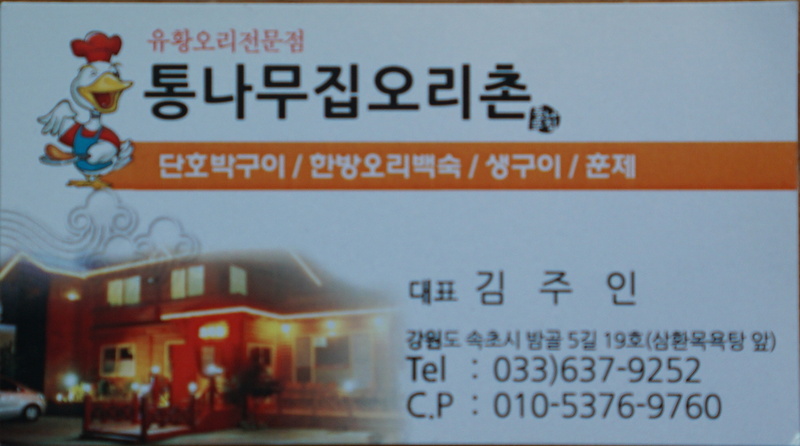 The duck meat was soft and succulent. It wasn’t too bland or too salty. I didn’t catch any hints of heat or spice with each bite, but that didn’t take away from the taste at all. I didn’t notice until closer inspection that there were raisins, nuts, and dates inside the pumpkin too. 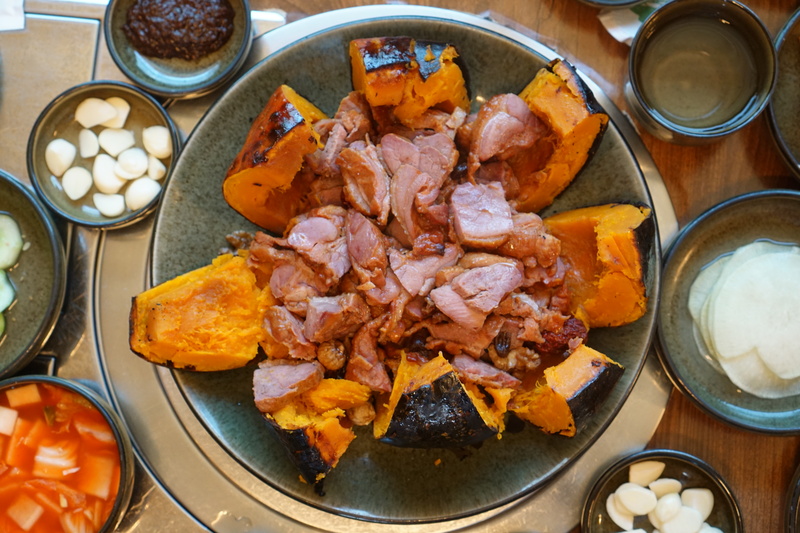 The flavors of the pumpkin and the duck complimented each other well. I have never had anything quite like it before, so each bite was like a symphony in my mouth. I’ve never been great at describing food, other than telling you that it was damn good and I think everyone should try it! 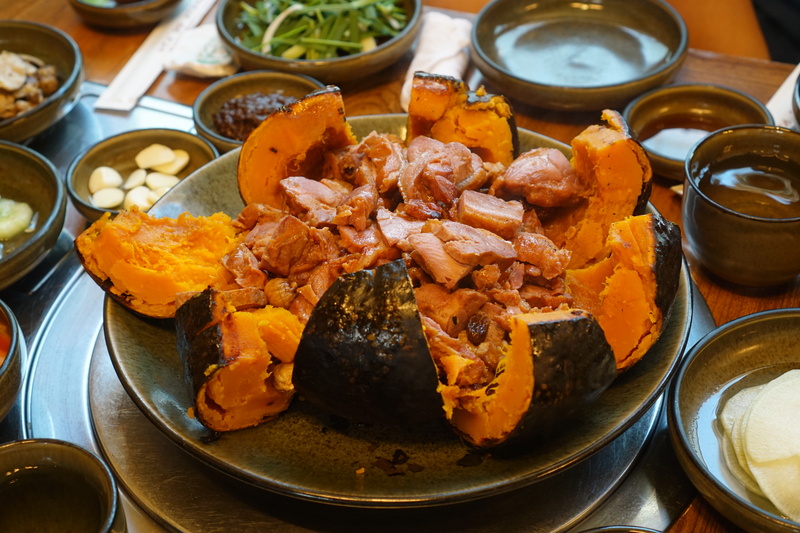 The 50,000 KRW (~$44 USD) pumpkin duck dish could be enough to feed 5 people, but if you’re really hungry then it’s more than enough for a party of 3. Thanks to Dianna for bringing me to this place! Who’s hungry now? More food adventures to come! As always, thanks for reading! 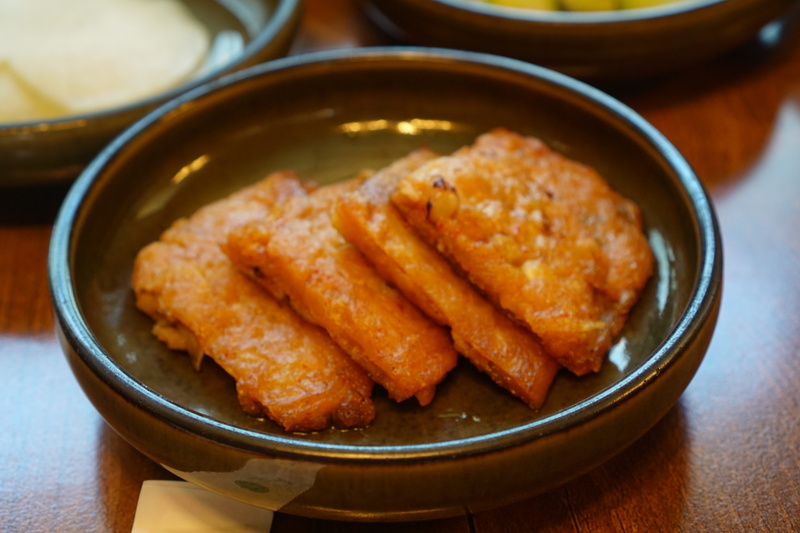 This entry was posted in #KimmyeatsKorea, EAT, Food, Korea, TRAVEL, WATCH and tagged Duck, food, foodie, Koreancuisine, KoreanFood, pumpkin, Sokcho, SouthKorea. Bookmark the permalink.